The roof is one of the most dominate features of a home and can take up to approximately half of its sight line. Today, architects give considerable attention to the importance of designing a home with a steeper pitch roof. This is called an architecturally dominating roof slope and is considered more appealing or 'satisfying' to the eye. To architects, this is known as the Golden Ratio. With the roof being so prominent from afar, it is notorious for stealing attention away from other important architectural features such as windows and the front door. With this knowledge, the roof's appearance is too important to overlook. At Quarrix, we believe a beautiful home begins with a beautiful roof, and it's what you don't see that makes your roof aesthetically pleasing. A beautiful roof has a clean, neat roof line that emphasizes architectural details such as hips, valleys, peaks, and eyebrows. When you take away unsightly vents, baffles and pipe flashings, you increase the curb appeal of your home. Unfortunately, homeowners don't consider these types of roof details when building a new home or reroofing an existing structure. 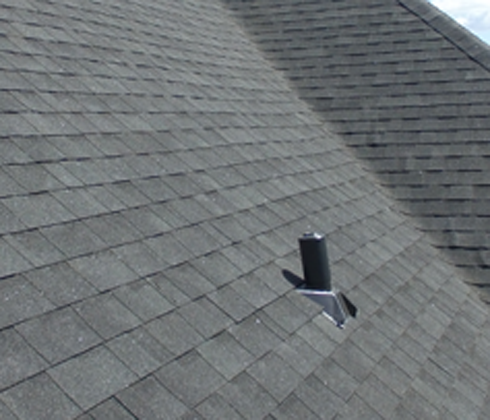 When overlooked, these details and decisions are made by the roofing installers. Curb appeal is not generally on the installers mind regarding roof ventilation and accessories. The photo below is a perfect example of how the roof can affect your home's curb appeal - even the best contractors and most luxurious homes can find themselves with an unsightly roof. The right image shows what the home would have looked like if Rigid Roll was used for roof ventilation instead of box vents. In the photo above, the roofing contractor would have saved the homeowner $70 by installing ridge ventilation. Two rolls of Quarrix Rigid roll are equivalent to seventeen box vents! Adding Rigid Roll ridge ventilation not only would have provided better curb appeal but would be a better financial decision. Unfortunately, small decisions like roofing accessories make a big impact on your home's curb appeal. Once your home is roofed, you will not want the added expense to change it. By speaking with your contractor or roofing installer about ridge ventilation and selecting Quarrix Rigid Roll, you will keep your home properly ventilated and beautiful for years to come. Find inspiration on our Pintrest page from rooftops around the world. Follow us to stay inspired. Before and After Photos, Roof Design Advice, 5 Things a Homeowner Needs to Ask their Contractor about Roof Ventilation, and More Great Advice can be found in our Homeowner Resource Center. 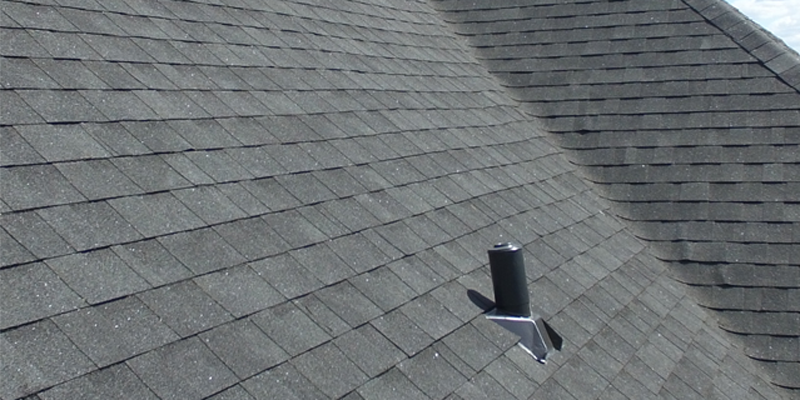 Remove unsightly white vent pipes from the roof with the Pipe Boot. Four color options to choose from and also paintable to ensure it blends seamlessly into any roof color. UV-resistant to resist color fading and provide long-lasting color. Provides protection from all weather including freezing.